WASHINGTON, DC, May 24, 2018 (ENS) – A coalition of national environmental groups today filed a lawsuit in the Southern District of New York challenging the Trump Administration’s move to eliminate longstanding protections for waterfowl, raptors, and songbirds under the Migratory Bird Treaty Act, MBTA. In a legal opinion issued December 2017, the administration reversed decades of government policy and practice, by both Democratic and Republican administrations, on the implementation and enforcement of the MBTA. This policy directive absolves companies from responsibility for bird deaths in oil pits, on power lines, and from other energy-related infrastructure. The Act’s prohibition on the killing or “taking” of migratory birds has long been understood to extend to incidental take from industrial activities – meaning unintentional but predictable and avoidable killing. Under the Administration’s revised interpretation, the MBTA’s protections will apply only to activities that purposefully kill birds. Any “incidental” take – no matter how inevitable or devastating the impact on birds – is now immune from enforcement under the law. The plaintiff groups are: the American Bird Conservancy, the Center for Biological Diversity, Defenders of Wildlife, the National Audubon Society, the National Wildlife Federation, and the Natural Resources Defense Council. The risk of liability under the MBTA has long provided the oil and gas industry, wind energy development companies, and power transmission line operators with an incentive to work with the U.S. 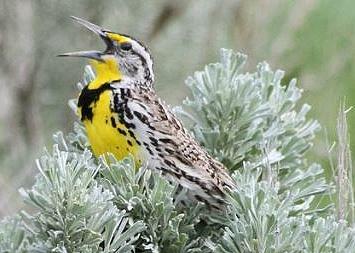 Fish and Wildlife Service to minimize bird deaths. For example, in an effort to protect migratory birds and bats and avoid potential MBTA liability, the wind industry, conservation groups, and the U.S. Fish and Wildlife Service worked to develop comprehensive guidelines aimed to ensure best practices for siting and developing wind farms. The administration’s new policy eliminates this incentive for industries and individuals to minimize and mitigate foreseeable impacts of their activities on migratory birds, putting already-declining populations of our nation’s songbirds and other migratory birds at risk. “The Trump administration’s rollback of the Migratory Bird Treaty Act is an absolute disaster for America’s birds,” said Noah Greenwald, endangered species director at the Center for Biological Diversity. 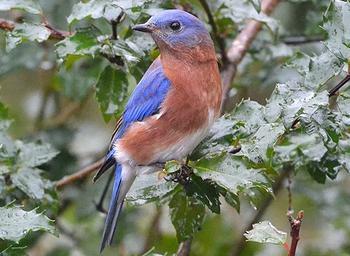 “Many bird species are already declining from habitat destruction and a host of other threats. This rule will allow the death of even more birds, whether they’re landing on polluted ponds left uncovered by the oil and gas industry or have their nest trees cut down from underneath them. It’s tragic,” said Greenwald. The MBTA also protects birds from fossil fuel development. Oil pits kill hundreds of thousands of birds – if incidental take liability is eliminated, industry need no longer take measures to protect birds from these hazards. In addition, when the 2010 BP Deepwater Horizon disaster spilled more than 210 million gallons of oil in the Gulf of Mexico more than one million birds were killed in the four years following the blowout. BP paid $100 million in fines under the MBTA that supported wetland and migratory bird conservation. The new interpretation would bar the federal government from seeking such mitigation under the MBTA for devastating oil spills in the future. “For 100 years, the United States has committed with other nations to protect migratory birds through international treaties and laws,” said Jamie Rappaport Clark, CEO and president of Defenders of Wildlife, and a former director of the U.S. Fish and Wildlife Service under President Bill Clinton.